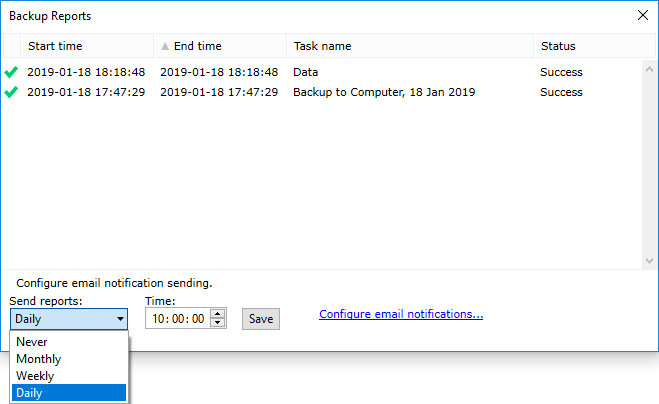 Using this feature, you can see all tasks attempted by Handy Backup, with a possibility to call for the detailed report about purposes, goals, sources, destinations and results of executing for any particular task in the report list. To see the Backup Reports window, just press a button on a Handy Backup Management Panel. 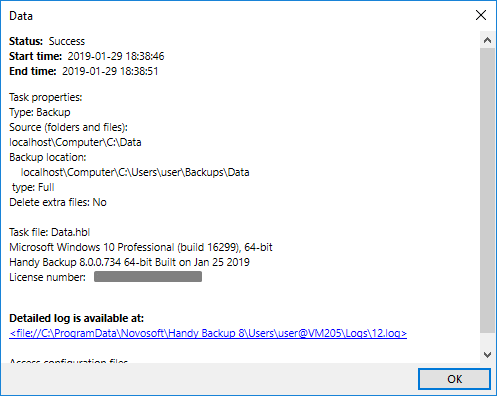 You will see the window containing a list of tasks attempted and executed by your Handy Backup. To close this window, please click on an [x] button at the top-right corner of a window. If you need an extra information about any particular task, please double-click on this task. A new window will appear, containing a detailed report about this task. To close a report and return to the report list, please click OK.